Goldin Peiser & Peiser (GPP) is honored to announce that FitSmallBusiness.com has named the firm a Top Accounting Influencer of 2018 This is the third consecutive year FitSmallBusiness has recognized GPP for its strong presence on social media, timely and relevant blog posts, and as a thought leader in the accounting industry. 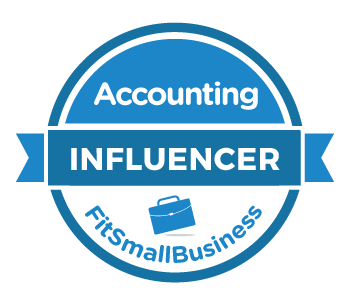 FitSmallBusiness.com scourers the web for accounting influencers with a robust social media presence. Its goal is to present helpful accounting tips to small business owners right from the accounting experts themselves. 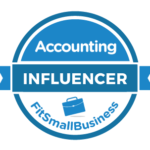 The people and firms on the list have outstanding credentials, expertise, and skills pertaining to the accounting industry, as well as an impressive quantity of social media followers. GPP focuses on what’s most important to their clients – sustainable growth and financial health. Armed with insight, the CPAs work to create specific plans of action to fit their clients’ unique needs. They understand the intricacies of business from a technical standpoint and take it a step further to look beyond the obvious to help discover what is not as evident. GPP considers itself a strategic guidance firm that offers traditional services such as accounting, audit, tax, valuation, mergers & acquisitions, and IRS assistance and defense. It focuses on today’s most dynamic industries: dental, healthcare, manufacturing, and distribution, and serves them with an exceptional range of credentials and skills. Whether you are next door or across the ocean, GPP is equipped to take your business to the next level.